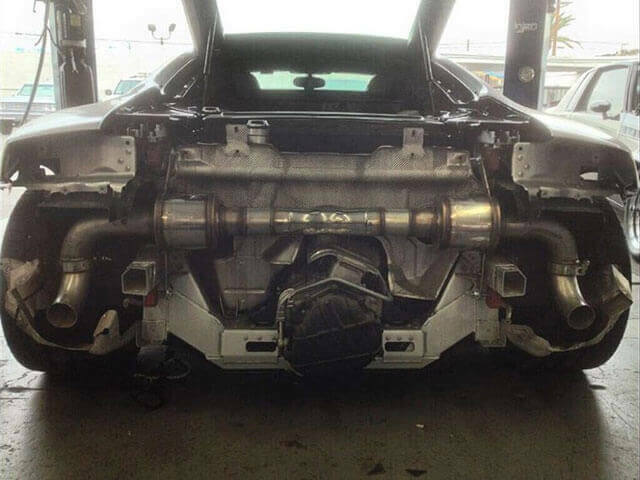 Rogers Exhaust Shop is the best source for automotive performance upgrades in Fontana. We specialize in helping customers throughout San Bernardino County find innovative and cost-effective solutions to improve and optimize their vehicles. Whether you are looking for better fuel efficiency or high-end modifications, Rogers Exhaust Shop can help. We are a family-owned exhaust and muffler shop that specializes in high-performance air intake systems, performance chips, energy/power programmers, high-flow catalytic converters, and other exhaust system-related improvements. Since 1999, we've served more than 100,000 customers throughout Fontana, Rancho Cucamonga, Riverside, Ontario, and San Bernardino and maintain five-star ratings on Yelp, Google+, and Facebook. At Rogers Exhaust Shop, our mechanics have decades of experience working on performance system upgrades for all makes and models of cars, trucks, SUVs, vans, and RVs, including classics and sports cars. Using high-quality OEM, OEM-equivalent, or aftermarket parts from leading brands, our automotive performance specialists are able to implement the improvements you want for your vehicle at a price that works with your budget. Rogers Exhaust Shop provides air intake system sales, installation, and repairs in Fontana. Cold air intake systems allow more cool air to flow through your engine so your vehicle is more responsive. With smoother, tighter tubes, you get a cleaner transition for air to get in, which improves the vehicle's horsepower and torque. Additionally, with more air, your car's computer can get better readings so that it can adjust and respond faster. Call today and tell us about your needs. If your car doesn't have an air intake system, we can help you select the right one for your goals and install it for you. If you already have one, we can replace the filters and brackets or perform repairs. We also install turbo intake systems, intercooler piping, and stock modifications for race cars and turbo cars. Depending upon their application, performance chips can improve a car's torque and horsepower, increase fuel efficiency (by as much as 15-20%), optimize shift points, or improve how it responds to exhaust system improvements, such as intake upgrades. Let our experts know what gains you are looking for in your car's performance, and we'll help you achieve them. We sell and install California-compliant performance chips from Bully Dog, Superchips, and Edge. At Rogers Exhaust Shop, we sell, install, and modify high-flow catalytic converters for increased performance from any vehicle. To read more about our catalytic converters, click here. Call or visit Rogers Exhaust Shop today for a free consultation and quote on automotive exhaust system upgrades. We're centrally located at 17050 East Foothill Boulevard/Historic Route 66 in Fontana, a quick drive from Rialto, Rancho Cucamonga, and San Bernardino. We're open Monday through Friday, from 8:00am - 6:00pm, and on Saturdays by appointment. We are fully insured and a member of the Better Business Bureau.